Offering a variety of services to assist you in achieving your long-term financial objectives. It is essential that you analyze your Social Security options alongside your other retirement accounts. By looking at the overall picture, you can decide on the right timing to begin social security benefits. Remember that retirement planning involves much more than saving a particular amount of money. You will be making many more decisions along the way, and these issues deserve your equal attention. We can help you put together a plan for income in retirement, but we don’t stop there. We put strategies in place to help protect against a hit to your "financial blind spot," which could threaten a successful retirement plan. We invite you to discover and experience the power of the services and knowledge we provide. Your goal may be to fund your children’s college education, protect your family during your working years, or guarantee your own retirement security. Its important to determine what you’d like to achieve financially and then map put those goals. The good news is, its never too late. Not one strategy fits everyone, which is why every client gets our undivided attention – from planning to execution to follow-up. We take a proactive approach to helping you develop a strategy to address your financial goals and objectives, using the most efficient methods available. 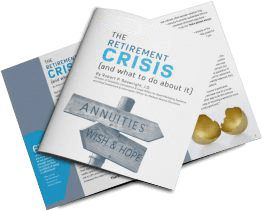 Will you outlive your retirement income? Are your financial expectations for the coming year realistic? Our financial newsletters are designed to provide helpful information on a wide variety of financial topics. Simply click on one of the newsletter topics below to read the article in its entirety. Due to dramatic advances in life expectancy, new retirees can look forward to nearly two decades of retirement or more. A large and growing number of retirees will spend three or even four decades in retirement. Some retirees will spend their last years financially secure, able to concentrate their time and energy on family, friends, personal growth, enjoyment and the building of their legacies...but many will not. Complete the form to receive the complete PDF. Securities offered through Madison Avenue Securities, LLC. (MAS), member FINRA & SIPC. Investment advisory services offered through Maximum Asset Strategies, LLC. and MAS, Registered Investment Advisors. MAS and Maximum Asset Strategies, LLC. are not affiliated companies. Neil Werberig is licensed to solicit securities and investment advisory services in the state of Pennsylvania. Neil Werberig is licensed to solicit insurance products in the states of CA, FL, IL, MO, NC, NJ, PA, SC, UT, VA, VT and WV. Guaranteed and principal protection mentioned herein are backed by the claims-paying ability and financial strength of the issuer.